​San Francisco Radio Club Day! 2016 was the San Francisco Radio Club Centennial Year. The club was founded in 1916 and served 100 years the city of San Francisco and the community. 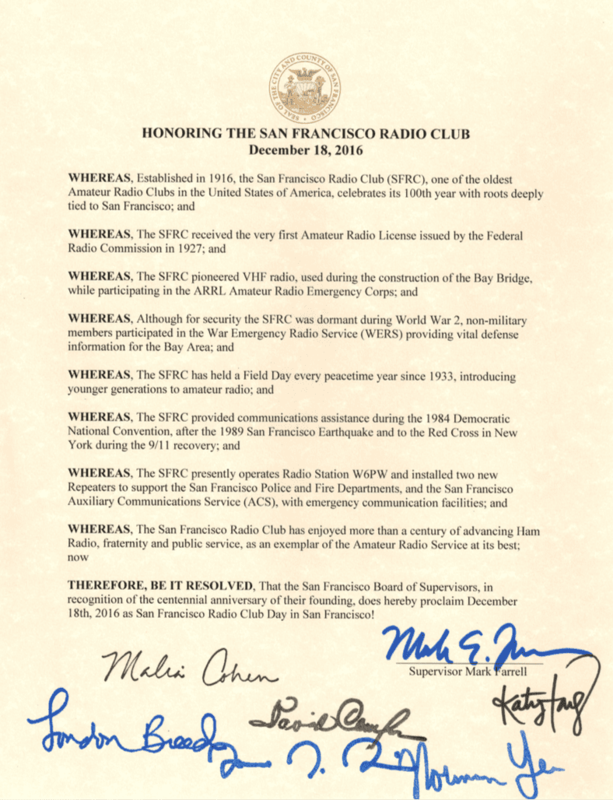 In recognition of our service and commitment the San Francisco Board of Supervisors recognized December 18th, 2016 as San Francisco Radio Club day in San Francisco!! !